Dell Technologies has reported a 19 per cent year-on-year revenue surge for the three months ending 4 May, to US$21.4 million, but the debt burden arising from the company’s 2016 EMC acquisition remains a challenge. The tech giant announced its fiscal 2019 first quarter results on 4 June, with non- generally accepted accounting principles (GAAP) revenue reaching $21.5 billion, up by 17 per cent from the prior period. During the quarter, the company generated a GAAP operating loss of US$153 million, with a non-GAAP operating income of US$2.0 billion, up by 42 per cent. 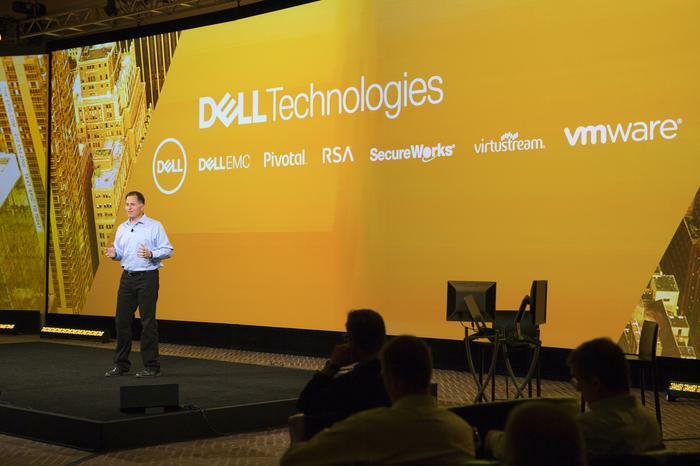 "We had a strong first quarter with balanced growth across all business units, regions, and customer segments," Dell Technologies CFO Tom Sweet said. "Our broad set of capabilities, enhanced by our targeted investments over the last year, drove strong top-line momentum and improved profitability, allowing us to generate good operating cash flow and make progress paying down our core debt,” he said. Indeed, the company’s debt is a point of ongoing concern, according to Technology Business Research (TBR) analyst Stephanie Long, who suggests that the debt the company drew for its US$67 billion landmark acquisition of EMC needs to be handled particularly carefully. “The vendor’s sizeable debt burden, due in large part to the EMC acquisition back in 2016, remains a challenge and a potential inhibitor of progress if unable to be appropriately managed,” Long said. However, other parts of the group appear to be going from strength to strength. For example, the company’s infrastructure solutions group revenue for the first quarter was US$8.7 billion, a 25 per cent increase on the same period the year prior. This was largely driven by 41 per cent year-over-year growth in servers and networking and 10 per cent growth in storage. At the same time, Dell Technologies’ client solutions group’s revenue for the first quarter was $10.3 billion, up 14 per cent versus the first quarter of last year. For Dell EMC, according to Long, recent upgrades such as expanding the PowerEdge 14G technology and ongoing strength in the organisation’s cloud server business were drivers behind the business unit’s 25 per cent year-to-year increase to US$8.7 billion. “This was reinforced by a reported 41 per cent year-to-year increase in servers and networking revenue and a 10 per cent year-to-year increase in storage revenue. Growth is expected to continue, as Dell EMC maintains its momentum from CY1Q18,” Long said.